This Côtes du Rhône bottling was one of the Top 12 wines for the holidays from the folks at Whole Foods Market. The Cercius Côtes du Rhône 2011 is labeled as Vielles Vignes Red Wine. If my high school French serves me well, that means old vines. And old they are - over 80 years and going strong. The vines bear Grenache (85%) and Syrah (15%) and the wine is a collaboration of winemaker Michel Gassier, Phillippe Cambie and Eric Solomon. It is imported by Eric Solomon Selections, which stamps the words "Place Over Process" on their labeling, so it is perfect to find them poking around in the Rhône Valley. The name of the wine tips the hat to one of the features that make the Rhône Valley unique. "Cercius" is the Latin name for the north by northwest mistral winds that sweep through the region. The wine looks dark purple in the glass and smells rather heavily of alcohol upon opening. Aromas of blackberries and cassis do come through, though, and in a clean, fresh way. The freshness continues on the palate, with a big mouthful of black cherry and licorice. Alcohol, however, is a bit of a problem. At 14.5%, it is higher than I would expect from the region, and it gets in the way until the wine has had plenty of time to open up. Bottled under an artificial cork closure, Cercius has an alcohol content of 14.5% abv and is vinified and aged six months in concrete tanks. I tried this wine on three successive nights, and it was best on the third night. The first night it was fruity, but hindered by the heat of the alcohol. The second night it seemed even hotter, but by the third night it had settled down and taken on a tarry note. Here is where Cercius really shines: with food. On the third night, feeling a little disappointed in the wine, I pulled the leftover penne Bolognese from the fridge for a midnight snack. I had the pasta the night before with a Valpolicella, and it was great. Now, the dish cold and stiff, the Rhône wine was an even better match for it. At last, I really enjoyed this wine. Craig Camp, managing partner at Cornerstone Cellars, has given his outfit just what you would expect from a wine guy - more balance. Once known only for their high-end Cabs, the line now offers everyday wines under the Stepping Stone banner, Oregon Pinot Noir and a killer rosé. Don't think for a minute, though, that he has forgotten about those high-end Cabs. Camp talks in his blog about two of his company's latest offerings, a Napa Valley Cab and a Howell Mountain Cab. He says, "By Napa Valley standards 2010 was a cooler vintage, which means by Bordeaux standards it was a a very good year. It reemphasizes my opinion that the problem vintages in Napa are the hot ones , not the cooler ones. The cooler weather helped us towards our goal to make balanced wines." “Our first goal was to craft wines with elegance and finesse while still honoring the power," says Camp. "It was also our goal to achieve wines with appropriate levels of alcohol. We do not simply want to have low alcohol levels for the sake of that alone by following some pre-set recipe, but to produce wines from grapes harvested at just the right moment, the moment that defines that vintage. We don't want underripe grapes anymore than overripe ones." Camp says the Cornerstone Cabs are meant to have acidity levels that make the wines refreshing, even in their youth. But he warns off big alcohol fans. "If you like massive, oaky cabernet with 16% alcohol (no matter what it says on the label) with high pH and residual sugar you won't like these wines and we can live with that. Our first goal is to make wines we love to drink and our second goal is to find wine lovers who agree with us. We are not interested in making wines that try to satisfy the broadest range of consumers possible." That said - or ranted - it is hard to imagine a wine lover who would find a bone to pick with either of these Bordeaux-style beauties. I will cover the Howell Mountain Cab in a later article and write about the Napa Valley bottle here. The 2010 Cornerstone Cellars Napa Valley Cabernet Sauvignon is actually a blend of Cabs Sauvignon and Franc with Merlot in the mix. It's the Bordeaux version of the Rhone's GSM - Grenache/Syrah/Mourvèdre - but CSCFM hasn't quite caught on yet. The Cabernet Sauvignon represents 85% of the blend and alcohol stands at 14.5% abv, while the wine has the influence of 22 months in French oak, 65% of which is new. Camp says this wine “expresses the personality of three exceptional vineyards: Ink Grade on Howell Mountain, Oakville Station in the To Kalon district and Kairos in Oak Knoll. The power and structure of Howell Mountain combines with the rich velvety Oakville Station and both are lifted by the bright aromatics and freshness of Kairos. However, Cabernet Sauvignon alone does not tell the whole story in this wine. Often I find that Cabernet Sauvignon on its own has a big start and finish, but can be a bit hollow in the middle. Here is where Cabernet Franc and Merlot come in. A touch of Merlot fills that hole in the middle and brings a beautiful silky texture. Cabernet Franc is like MSG in a dish lifting and defining flavors. Together they achieve umami, that elusive savory personality that defines great wine." Showing a dark red color in the glass, this Napa Cab smells delightful, with blackberry and currant aromas to burn. Spices, notably nutmeg and clove, come through with a touch of pencil lead trailing behind. On the palate, that dark fruit barrels forth with the same set of spices and graphite featured on the nose. A hint of mint stays around for the finish. The wine has great acidity and fine tannins - "food-friendly" is an understatement. It's great just for sipping, too. There is plenty here upon which to ruminate while doing so. The Cornerstone Cellars Cabernet Sauvignon Napa Valley 2010 is a Bordeaux blend with a California heart. At $65, it is on the pricey side. If, however, you are in the habit of pulling from that rarified top shelf, you may find this a great value. We at Now And Zin are taking a couple of days off to open all those gifts, snack on that stocking full of Macadamia nuts and dine on that roast beast before the Grinch gets it. May you and your loved ones enjoy the happiest of holidays, filled with joy, wonder and love. Merry Christmas, and Cheers! From NowAndZin.com. 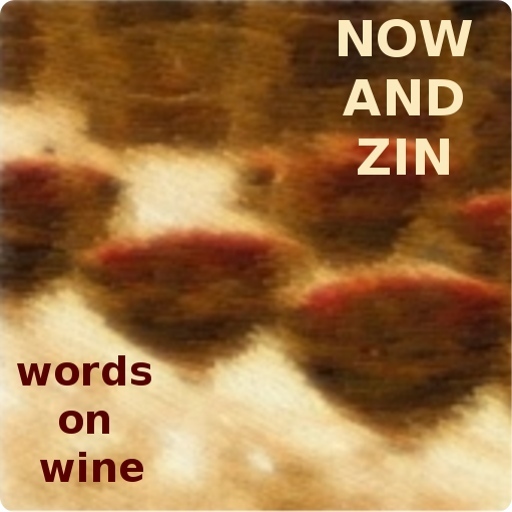 When people ask me the name of my website, and I answer "Now And Zin," they either think I said "Zen" or expect that all I write about is Zinfandel. There's hardly a lick of Buddhism here and, while I do make the occasional pass at Zinfandel, it is most certainly not the be-all or the end-all of my interest in wine. As luck would have it, a shipment came to me from Scott Harvey Winery in St. Helena, CA. They do Zinfandel there, and they do it very well. The Vineyard 1869 Zinfandel 2010 is billed as America's oldest Zinfandel. 95% of the grapes come from the Harvey Vineyard in Amador County, planted in 1869. The other five percent are Petite Sirah grapes from the David Fulton Vineyard in Napa Valley. The Harvey Vineyard survived both phylloxera and Prohibition to last to its ripe old age of 144 years. The wine has an alcohol content of 14.5% abv, which is pretty reasonable for a warm climate wine from California. It spent 29 months aging in French oak. This wine is colored a light, medium ruby in the glass, a little more like Pinot Noir than Zinfandel. Aromas of brambly raspberry-tinged blackberry are laced with purple floral notes and a minty herbal quality. Quite expressive. On the palate it's as smooth as can be, but the tannins are strong enough to handle whatever it is paired with them. A brambly essence also rides herd over flavors of blackberry, black cherry and a hint of black currant. Despite the brambly quality - it always makes me think "rustic" - this wine is extremely elegant. The 1869 Zin is quite dry, and it goes very well with cheese tortellini under a marinara sauce. The wines of Lodi, California have had my attention for some time. The region - roughly south of Sacramento and east of San Francisco - produces some big, bold Zinfandels, which I love. They are also producing some even more exotic grape varieties, like Carignane, Cinsault and Spanish varieties. More to the point, they are looking for their identity, wondering whether Zin is their “calling card” grape or if a more eclectic approach will define the region. A recent article by San Francisco wine writer Jon Bonné centered on Lodi’s reputation as a producer of cheap, sweet bulk wines. He mentions how “grapes” have long been the focus in Lodi, not “wines.” But some of the growers who contributed so many grapes to so many supermarket wines have been establishing wineries of their own, raising the growing standards in the vineyards and reaching out through various media channels to make the public aware of the work that’s being done there. One of those media channels happens to be a public relations firm who offered to include me on a virtual tasting session of Lodi wines, an offer I was happy to accept. The wines described here were provided to me for the purpose of the virtual tasting.Conducting the tasting session were folks from families that have been in the Lodi wine industry for generations. Stuart Spencer - Program Director for the Lodi Winegrape Commission and second generation Winemaker for St. Amant Winery - co-hosted the virtual tasting with fifth generation winegrape grower and Director of Winery Operations at LangeTwins Family Winery & Vineyards, Randy Lange, and Farrah Felten-Jolley of Klinker Brick Winery. The trio appeared in the video stream in front of a banner reading, "What you call crazy, we call passion." Passion is the focal point of what has turned Lodi into a premier winemaking region. 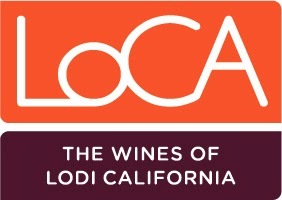 Spencer referenced the fact that most of the Lodi wineries are family affairs, and the wine culture in Lodi comes through years of farming families. The participants who took part in the tasting chimed in their thoughts on Twitter. One tweeter said, "Lodi is specifically suited for white Iberian varietals like Albarino and Verdelho," while another commented that "'Sons of Anarchy' is set in a town near Lodi." That prompted the question, "But do they drink Lodi wines?" Another speculated, "I'll bet Jemma does!" Yet another figured, "I'll bet Tara does!" Lodi boasts some 85 wineries, 60 of which have tasting rooms open to the public. Over 70 grape varieties are growing there. Representatives of Lodi Wine were in on the tweets, too. "When we say "old vine" here in Lodi we're not kidding. Many old vines are over 90 or 100 years old." "Lodi is comprised of 100,000-plus acres of premium winegrapes, farmed by over 750 growers." "Lodi is California's leading producer of Cabernet Sauvignon." In fact, they say, "Lodi has been growing Cabernet for a long time; we produce more Cabernet than Napa & Sonoma combined." Klinker Brick Winery's Farrah Felten-Jolley represents the sixth generation of the Felton winegrape-growing family, a status that is not uncommon in Lodi, where so many families have a very long tradition of digging the earth. Bricks & Mortar Red Blend 2011 is an interesting blend from the Mokelumne area of Lodi: 60% Cabernet Sauvignon, 30% Petite Sirah and 10% Zinfandel, all wrapped up in American oak. It's a heavyweight, at 15% abv, and it retails for $30. Tweeters commented on every aspect of the wine. "The Petite Sirah gives it oomph." "The packaging really stands out on a crowded wine shelf." "Dark, rich, legs all day long with big tannins & great plum palate." "Five spice & slightly minty toasted oak on the nose. More on the palate + dark berries." The Klinker Brick Bricks & Mortar is dark ruby in the glass, with a nose that's colored in dark fruit and lively spices, notably vanilla and clove. The fruit aromas are beautiful - plums, blackberries and a slight raspberry note. On the palate, more dark fruit and more oak spice. Pencil lead shows up, but is obscured by a hint of eucalyptus and some mighty delightful cigar box flavors that highlight the spicy nature of the wine. Connie and Ted's is a Los Angeles seafood place that hits the nail right on the head, according to some East Coast seafood aficionados I know. The eatery does seafood like it's done "back East," as transplants are fond of referencing. I loved the food, and the good marks it gets from people who like their seafood authentic are enough for me. Looking at the beer and wine lists, it is apparent that they look for wines and brews that are more artisanal than mass produced. By-the-glass wine offerings range from eight to 15 dollars and do not suffer from burnout of having been seen too often, while the beers are largely American small-producer craft brews from California, Oregon and a handful of other states. The wines come from California, France, Italy and Portugal, for the most part. The East Coast bias is noticeable only in a few of the beers. Victory Brewing Company of Downingtown, Pennsylvania contributes a stellar pilsner that fits well with the menu. Victory's Prima Pils has great color - a beautiful yellow-gold - with a head that is white and frothy. The German-style pilsner has a nose that carries a bit of hops, but not as much as an IPA. The 5.3% alcohol is easy to take, and the taste is malty with the bitter hops playing a role. Some citrus notes come forward, too, but the malty quality is the hallmark. A little citrus plays out on the finish, and it was a perfect complement to the lobster roll and the New England clam chowder - which is done brothy, not creamy. I'm told this is how New England clam chowder is rightly done in the northeast. In Napa Valley’s Spring Mountain District, brothers Stuart and Charles Smith run the Smith-Madrone Vineyards and Winery, established in 1971. The winery was named for the forest of Madrone trees from which the vineyards were reclaimed, vineyards which were first planted to Riesling some forty years ago. While Smith-Madrone’s 2011 Riesling was all about the minerals in their “red and rocky volcanic soil,” coaxed along by the cooler mountain temperatures, their 2012 Riesling is a testament to fruit. A sample was provided for the purpose of this article. With ever so slightly less alcohol than last year’s Riesling, and a tad drier, the 2012 hits 12.5% abv with just over 0.4 residual sugar. The estate wine is bottled under a natural cork. Very pale in the glass, the nose simply bursts forth with juicy fruit. Apples, citrus, pear and melon aromas all seem to be trying to elbow each other out of the way. The promise of the fruity nose is delivered upon with a lovely palate, dry and tangy with brilliant acidity, but also adorned with the taste of red apples and lime peel. It’s a food-friendly and refreshing white wine. It’s the most wonderful time of the year for the Whole Foods Market Top Ten (12) list of holiday wines. If you have stopped in to Whole Foods recently, you have probably noticed the display in the wine department and you may have even been tempted to pick up a bottle or two. Each wine on the list is priced below $25 and each is hand selected by the WFM wine folks as a winner for holiday parties, gift-giving and feasting. There were so many good wines to choose from, the top ten list became a Top 12 list this year. WFM also sponsored a pair of Twitter tasting events featuring their holiday wines, which were fun, interesting and informative. The first one was back before Thanksgiving while the other just happened, just in time for Christmas. The December lineup featured singer/songwriter/musician Mat Kearney chatting about his Napa red blend, Verse and Chorus. You can check out the conversation on Twitter using the hashtag #WFMWine. Here is a list of the twelve wines. My thoughts on the first eight wines are given, and I’m including the WFM descriptions on the other four to help steer you in the direction you want to go. “*” indicates a wine available only at Whole Foods Markets. This Cava - the Spanish term for sparkling wine - is produced by Freixenet, who have made more bubbles than Lawrence Welk. The grapes used for it are exotic for most American eyes: 60% Xarel-lo, 30% Macabeo, 10% Parellada. Frothy big bubbles dissipate quickly. A lovely nose shows a fruit spread of apples, nectarines and tangerines. On the palate, things are fresh and refreshing. The sparkler is fruity without getting too sweet and there is not a trace of funk in it. It is a pleasant wine - maybe even a little simple for some - but it should be a hit as a holiday aperitif or with a cheese plate. With only 11.5% abv, the alcohol won't wear anyone out. From the large peninsula of Peloponnesos comes a white wine that is breathtaking. Peloponnesos is connected to the northern part of Greece by only a narrow isthmus and a bridge, so it is very nearly an island. George Skouras established his winery in Argos in the 1980s and uses grapes grown in his vineyards as well as fruit from neighboring growers. Anassa is made from 70% Moscofilero and 30% Viognier grapes and is bottled under a screw cap. Alcohol is quite moderate at only 12.5%. This straw-yellow wine smells outrageous. Huge salinity, great citrus, minerals galore - white wines from Greece are simply amazing, this one particularly so. Some floral notes add complexity to a noise that needs no help in that area. On the palate, more savory saltiness joins a wide swath of Meyer lemon and a mid-tempo acidity. It can't miss with fish - the fishier the better - and it turned a handful of roasted, unsalted cashews into a banquet. Since Kalamata is over on the other side of Peloponnesos from Argos, you might serve it with a olive plate. This wine is a big ol' bargain. This one liter bottle gives you an extra glass of wine - two if you are a restaurant. Three if you are the really cheap, lousy restaurant down the street with the tiny pours. Bonarda is a great grape. It should probably be the national grape of Argentina instead of Malbec. The grapes for this wine come from Mendoza and are sustainable farmed. The wine is labeled as "vegan friendly." Dark in color and rather brooding on the nose, this wine shows plummy aromas over a layer of tobacco. The palate is rich and smooth, with a tart raspberry edge. It's a great wine to sip, with soft tannins and only 13% abv. This rich Bordeaux-style wine is the product of a collaboration of musician Mat Kearney, Peju Winery and the John Anthony family. It’s a blend of 87% Merlot and 13% Cabernet Sauvignon, all grown in the Napa Valley. The 15.1% alcohol number sounds high, but doesn't play that way. Billed on the "record label" which adorns the bottle as "Long Playing, High Fidelity," you'll want two glasses so you can enjoy it in stereo. The wine shows a nice, dark ruby in the glass and displays great aromas of plums and cherries enveloped in vanilla. The palate has gorgeous red fruit unfolding into layers of pencil lead, eucalyptus, mocha, cinnamon and nutmeg. It opens up beautifully and shows wonderful hints of tar with a bit of time. If this wine doesn’t bring the holidays home to you, be ready for a visitation from three ghosts on Christmas Eve. Washington state is known for, among other grapes, Riesling, and here is one from Yakima Valley that registers "medium-dry" on the Riesling scale and barely hits 12.1% abv in alcohol. Yakima Valley was Washington's first American Viticultural Area, and is part of the larger Columbia Valley AVA. Nearly half the wine grapes in Wahington come from this beautiful region in the southern part of the state and the grow a lot of other fruit there, too. Not to mention hops - 80% of America's supply of that crucial beer ingredient are grown there. The Grace Lane Riesling is a very light, clear golden color and features great aromas of Granny Smith apples and peaches with a fairly healthy dose of minerals. It smells crisp and fresh, and it tastes the same way. The acidity is nice, but not really razor sharp. On the finish, the minerals linger long and the "medium" part of that "medium-dry" kicks in. Riesling is a great wine to put on the Thanksgiving table - or Chistmas, for that matter - due to its versatility. You can pair Riesling with just about anything successfully, even when it's not bone dry. Navarra is in the northern part of Spain, between Rioja and France. In the Navarra region, a tablao is a cafe where they play flamenco music. Now flamenco is energetic and vibrant enough to grab me all by itself. Tablao, the wine, brings similar fire and spice. It is based in 81% Tempranillo grapes with support from 9% Garnacha, 8% Merlot and a 2% splash of Cabernet Sauvignon. Produced by Bodegas Pagos Dearaiz, Tablao is influenced by French wine, to be sure, but its boots are made of Spanish leather. Tablao is the kind of red that could make me feel festive any time of year. Practically black in the glass, the nose is a big rig full of raspberry and black cherry, with a compact car of leathery cigar tobacco anise and nutmeg on its tail. Lively on the palate, the dark side of cherries is displayed prominently. There is a spicy element running through it with great tannins structure and lip-smacking acidity. I'd put this on the table next to the holiday rib roast. It's pretty awesome with a handful of pistachios, too. At 13.5% abv, it keeps alcohol in check for what could be a day of over-imbibing. The Spanish wine region of Priorat is in the northeastern part of the country and joins Rioja in the DOCa classification, the highest level of quality in Spanish wine. Priorat is known for its black slate and quartz soils, a rich terroir of volcanic origin. Garnacha is the main grape there, and Grenache - as we call it in other parts of the globe - is always a great choice for pairing with food. Alcohol is fairly high, at 14.2% abv. H & G is a California-based winery which produces wine from various parts of the world. The wine is colored very dark purple/black. The nose shows blackberry, raspberry, licorice and lots of minerals. The palate is full of spicy cherry and blueberry with a leathery note. Nice acidity and good tannic structure round out what is a great tasting experience. A lovely floral aspect on the finish makes for a good memory to take from the sip. The Sichel family bottles this bold red six months after harvest on the right bank of the Garonne River. The grapes used are two Bordeaux favorites, 70% Merlot and 30% Cabernet Sauvignon. Alcohol is quite reasonable at 13% abv. The winery says, "Maison Sichel has a longstanding partnership with a number of Grands Crus Classés (classed growths) and takes an active role in the marketing of more than 150 of the most prestigious Bordeaux châteaux." Les Hauts de Bel Air shows a pure, fruity nose of red berries. The palate is all fruit, too, youthful and vibrant. Nice tannic structure and ripping acidity beg for a standing rib roast. The mouthfeel is light and juicy and it won't weigh down an already full table. The wine displays the power of a Bordeaux with the freshness of a Beaujolais. I can taste the turkey already. Here are the other four wines, to be covered here separately. The notes are by Whole Foods. Boxed wine holds no special attraction for me, as most of my consumption is at home, where I love the heft and feel of a wine bottle. I don’t carry wine around with me very often. In Southern California, I don’t believe alcoholic beverages are even allowed on the beaches - or anywhere in public - but I have seen folks tipping plastic cups of wine at outdoor concerts and at the Hollywood Bowl. In each case wine was for sale on site, and there may be restrictions on bringing your own wine into the venue. Vendange Chardonnay is an Australian non-vintage wine in a 500ml Tetra Pak box, completely unbreakable and portable. It's "bottled" in California and can be taken anywhere very easily.. They say the contents will yield three glasses, but it's more like two if you like a generous pour. The retail price of four bucks certainly makes for an attractive offer. The packaging touts convenience, freshness and earth-friendliness while promising a taste that’s "full-flavored & fruity with hints of apples, pears & toasted oak." The ecological angle is bolstered by the notice that the Tetra Pak is 90% less wasteful than regular wine bottles and 97% recyclable. Personally, I rather like opening a bottle of wine. The act of wielding a corkscrew and using it properly satisfies me. You get no such opportunity with the Vendange. The twist-top closure automatically slits the inner foil container when opened, so no special tools are needed. Alcohol content hits a moderate 13% abv. Once out of the box, the nose shows the advertised fruit and the oak has a surprisingly light touch. On the palate, fruity and fresh is a good description, with medium acidity and a slight oak flavor that becomes a little more strident on the finish. Vendange is not the great Chardonnay of the ages, but you weren't expecting that when you got change back from a five. It will suffice anywhere drinking is permitted, but glass bottles are not. The question is, how badly do you really need to drink? A little year-end clearance in my wine rack has me trying some wines that have languished there through no fault of their own. Winemaker William Mosby - you can call him Bill - caught the winemaking bug during his college days. As he states on the winery website, "I fermented anything I could get my hands on." We are all glad his hands quickly found some grapes. It's the Italian grape that gets Mosby going. His mission at Mosby Winery and Vineyard is to make "fine Cal-Italian wines from estate-grown grapes" in Buellton, CA. In the land of Syrah, Chardonnay and Pinot Noir, Mosby's vineyard bursts forth with grapes like Dolcetto, Lagrein, Cortese, Traminer and Pinot Grigio. He also makes a bit of grappa and wild plum and raspberry spirits. Subtitled on the label as Vigna Della Casa Vecchia - what did the TTB have to say about that? - the Mosby Sangiovese hits 14.4% abv on the alcohol scale. I don't remember what I paid for it several years ago, but the '06 is going for $26 now, according to an online search. This dark ruby wine has a gorgeous nose as deep and rich as its color. The floral element is huge and the dark berries are ripe and succulent with a spicy/herbal note kicking in. On the palate, blueberries are joined by spices and herbs with a late touch of strawberries. The lively flavors belie a dark and brooding tarry sensation that flows through the finish and grows stronger the course of two nights' sipping. Mosby recommends pairing his Sangiovese with "roasted poultry, beef and, of course, pasta." Here is another example of waiting a tad too long to enjoy a white wine. In this case, the forgotten bottle of Foley Chardonnay 2009 has felt the effects of age, but it actually appeals to me greatly in its present state. From Santa Barbara County's Rancho Santa Rosa Vineyard, this Chardonnay was wonderfully fruity in its youth. Today, the years have left their mark. I'm not disappointed, though, and I'm glad the bottle languished in the rack so long. Owner William Foley II is living the dream, and the dream is "to produce world-class Chardonnay and Pinot Noir in Santa Barbara County." His Rancho Santa Rosa Vineyard is a former thoroughbred horse ranch in the Sta. Rita Hills appellation of the Santa Ynez Valley. It is planted primarily to the two grapes that capture his fascination, Chardonnay and Pinot Noir. Winemaker Leslie Mead Renaud gets the most out of the grapes produced in the limestone soil of this vineyard. This Chardonnay has a gorgeous golden color, rich and inviting. The aromas of pineapple and apricot are just touched by oak. A nice vanilla note is a testament to that, and minerals are in abundance. On the palate, the apricot is pronounced, and a smoky note is draped over it. I am reminded of the wonderful white wine of Spanish producer Lopez de Heredia, whose whites are routinely aged for decades before release. The alcohol content of 14.3% packs a bit of a wallop, but it's not an unusually high number for this area. The wine's gorgeous palate is complex, the acidity is lively, the minerality is rocky and the finish is long and savory. Oak treatment involves new French oak for 16 months, and 75% of the wine underwent malolactic fermentation. Holding back a quarter from malo preserved acidity while still allowing for a nice, creamy mouthfeel. It's hard to forget a wine like this is waiting to be opened, but it can be a good thing if it does slip your mind for a bit. Usually an almost-forgotten bottle of wine pulled from the rack brings back a flood of memories associated with its acquisition - the visit to the winery, a great sale at a cool wine shop, a gift on a special occasion. None of that is clicking in with this bottle of Firestone Vineyards Sauvignon Blanc Santa Ynez Valley 2009. I think it may have been something grabbed up at a time when Denise was interested in trying different kinds of wine in cooking, and it simply was never opened. Discovering a forgotten jewel is always reason for high expectations, as most of the wine in my rack never gets the chance to show its age. This one does and, while fascinating, it has gone past its prime. Firestone Vineyards was Santa Barbara County’s first estate winery, established in the early 1970s on land purchased by tire magnate Harvey Firestone. This 100% Central Coast Sauvignon Blanc wine is made from Firestone Estate grapes, from the Santa Ynez Valley. The 13.5% abv number is quite reasonable, especially from an area where higher numbers seem to be the rule. It sells online for less than $10. The wine has a very rich appearance. It is so deeply tinted that it looks like apple juice. I might normally expect some oak with a white wine this golden, but the wine was produced entirely in stainless steel tanks, aging there for eight months. Obviously, bottle aging has been going on a little longer than I had planned. Winemaker Paul Warson says it is crafted to be fruit-forward and crisp, which I know it is when opened promptly. That's not the case now. This wine's nose of tropical fruit is smothered by a pungent smokiness, even a hint of whiskey in the glass. On the palate, more extreme smokiness mixes with full acidity. The wine has obviously undergone an extreme change over the years, and it's one I find quite interesting. I am a big fan of smoky aromas and flavors in wine, and all foods in general. Is it a good change? Sauvignon Blanc - particularly California styles - are generally designed to be drunk young, within a couple of years. Four years isn't exactly a stretch for aging a wine, but for this steel-fermented Sauvignon Blanc it appears to be too long. The acidity is still strong, but the wine doesn't have the freshness it once did. It can probably be written off to oxidation, even though it was bottled under a screwcap. So, it looks like I let this one linger too long in the wine rack. The aromas and flavors are definitely off, but the transformation it has undergone is amazing, from an educational standpoint. The Whole Foods Market wine department is crazy about lists. They come up with lists of Top Ten wines for every occasion, holiday and season - which sounds like a pretty good job to me. This is the time of year, of course, for the WFM Top Ten list of holiday wines. Each wine on the list is priced below $25 and each is hand selected by the WFM wine folks as a winner for holiday parties, gift-giving and feasting. There were so many good wines to choose from, the top ten list became a Top 12 list this year. WFM is sponsoring a pair of Twitter tasting events you may find interesting - and informative. The first one came just in time for Thanksgiving, on Thursday November 21, 2013. The second will give you inspiration for the Christmas party season, on Thursday December 12. Both of these virtual tasting events will happen from 7:00 - 8:00 p.m. CT. The December lineup will feature singer/songwriter/musician Mat Kearney chatting about his Napa red blend, Verse and Chorus. It’s easy to participate. Just pick up a bottle or two of the top holiday wines at Whole Foods and open them for the Twitter Tasting event. Follow along on Twitter, using the hashtag #WFMWine. Here is a list of the twelve wines. My thoughts on the wines tasted on November 21st are given, and I’m including the WFM descriptions of the others to help steer you in the direction you want to go. “*” indicates a wine available only at Whole Foods Markets. Washington state is known for, among other things, Riesling, and here is one from Yakima Valley that registers "medium-dry" on the Riesling scale and barely hits 12.1% abv in alcohol. Yakima Valley was Washington's first American Viticultural Area, and is part of the larger Columbia Valley AVA. Nearly half the wine grapes in Wahington come from this beautiful region in the southern part of the state and the grow a lot of other fruit there, too. Not to mention hops - 80% of America's supply of that crucial beer ingredient are grown there. Navarra is in the northern part of Spain, between Rioja and France. In the Navarra region, a tablao is a cafe where they play flamenco music. Now, flamenco is energetic and vibrant enough to grab me all by itself. Tablao, the wine, brings similar fire and spice. It is based in 81% Tempranillo grapes with support from 9% Garnacha, 8% Merlot and a 2% splash of Cabernet Sauvignon. Produced by Bodegas Pagos Dearaiz, Tablao is influenced by French wine, to be sure, but its boots are made of Spanish leather. The Spanish wine region of Priorat is in the northeastern part of the country and joins Rioja in the DOCa classification, the highest level of quality in Spanish wine. Priorat is known for its black slate and quartz soils, a rich terroir of volcanic origin. Garnacha is the main grape there, and Grenache - as we call it in other parts of the globe - is always a great choice for pairing with food. Alcohol is fairly high, at 14.2% abv. H & G Wine is a California-based winery which produces wine from various parts of the world. Les Hauts de Bel Air shows a pure, fruity nose of red berries. The palate is all fruit, too, youthful and vibrant. Nice tannic structure and ripping acidity beg for a holiday roast. The mouthfeel is light and juicy and it won't weigh down an already full table. The wine displays the power of a Bordeaux with the freshness of a Beaujolais. I can taste the turkey already. It was a good afternoon in Beverly Hills. More than once, I heard that comment from attendees at a lunch and vertical tasting of Bertani Amarone at Via Alloro on November 1, 2013. "Skip cleaning the apartment for a vertical tasting of Amarone? Sure! Oh, there's lunch, too? Cool. Where are we going next?" Many thanks to Palm Bay International for staging this event and for inviting me to attend. Winemaker and Bertani technical director Andrea Lonardi (pictured) presided over a tasting six Amarone vintages from the Bertani estate covering five decades: 2006, 1998, 1990, 1981, 1973, 1964. Bertani holds back half of all production of their wines from each vintage, so each of these wines is currently available for sale in the US. There were a few other Bertani wines included, too, as if the vertical wasn't enough. Things got rolling with an introductory mingle featuring many wine people, iPhones ablazing. Pictures, notes, exchange of business cards were conducted while enjoying the Bertani Bertarose Rosé. Lonardi studied in the south of France, worked in Argentina, Chile, Washington state and Sonoma before taking the job with Bertani. I asked him where his dream vineyards would be: "Burgundy for Chardonnay, Bordeaux for Cabernet Franc and southern France for Grenache," he said. Techniques have changed over past 50 years. Lonardi says they used to harvest in October, but now do so in September due to climate change. Their grapes get at least three months of drying time between harvest and crush. They still dry grapes just like they did 50 years ago, on straw mats. Bertani was founded in 1857 by two brothers. They became négociants around Verona, then bought vineyards in Valpollicella and started growing their own. The first of their wines brought to the US was labeled SECCO BERTONI to differentiate it from the sweet wines popular in that day. Amarone's slight bitterness is delightful, and it's the reason for its name. "Amaro" means "bitter" in Italian. The style was first made when the cellar master forgot to stop fermentation on a sweet wine. It came out dry, and it was good. A tradition was born completely by accident. Bertani's vineyards stretch out across all the wine producing areas of Verona, from Valpolicella to the Valpntena - the valley of the gods - to lakeside Bardolino to the easternmost hills of Soave. The different soil types in these areas allow the winery to express a number of different terroirs in their wines. Overall, I found the alcohol and tannic structure became more noticeable as we drank through the years. Fruit also comes more to the forefront in the younger vintages. Lonardi's favorite is the '73. I like 'em all, but the two oldest really fascinated me. The prices are suggested retail. Vintage report: The spring was wet, while the summer was dry, as were September and October. This wine aged for 18 years in large Slavonian oak barrels and was bottle in the fall of 1983. 15% abv. Brick, with a browning edge. Lonardi commented, "The '64 is really outstanding today." Elegant, with a nose of raisins, orange peel, coffee and caramel. On the palate, the wine is very easy in the mouth. The alcohol isn't even noticeable. Spices and cherry fruit are subdued by iron-like minerals. Vintage report: Ideal temperature and rainfall during spring and summer. Aged nine years in large Slavonian oak barrels, this one was bottled in the spring of 1983. 15% abv. Brick colored, browning at the rim. The nose shows raisin and candied orange peel. Again, elegant. An easy feeling palate with big coffee notes and alcohol again not a factor. More high mineral flavors. Absolutely no trace of alcohol on the palate, very easy to sip. Vintage report: Average rainfall. August and September were hot. After nine years aging in those Slavonian oak barrels, the wine was bottled in the spring of 1991. 15.2% abv. Red color, brick rim. Raisins and sweeter notes of brown sugar and dark chocolate grace the nose, while flavors of dark chocolate, coffee, black tea and orange peel highlight the palate. Tannic structure firm. Alcohol starts to come into play. Paired with mushroom risotto, the raisin notes really come forward. Vintage report: Ideal season. Rain in the spring, warm, dry summer. This vintage took six years aging in Slavonian oak and was bottled in the fall of 1999. 15% abv. Ruby, with a brick edge. Candy orange, cherry and baker's chocolate on the nose. Big cherry notes, black tea and a hint of raisins on the palate. Big fresh tannins are more noticeable, great acidity, grip on the finish. Vintage report: Average temperatures and rainfall in the spring, hot in July, August and September. This wine aged for six years in Slavonian oak and was bottled in the spring of 2005. Deep ruby core, brick rim. Aromas of raisin, cherry, tea and coffee grounds. The palate features a brilliant acidity with bright cherry flavors and black tea on the finish. Alcohol steps forward, great tannic structure. Nice and dry. Vintage report: Normal rainfall during the spring and no rain in July. Frequent light rain in the first half of August. The wine aged for six years in oak and was bottled in the of winter 2012. 15.4% abv. Ruby, just starting to brick at the rim. It's all big, bright cherry on the nose with slight raisin notes and a touch of tea. On the palate, fresh cherry, firm tannins and lively acidity make for a very vibrant wine. Notes of coffee and tea finish the pleasure. Sereole Soave $20 - 100% Garganega, straw, green tint. On the nose, nutty salinity, wet rocks. Palate shows tart peach, lovely acidity, herbal, salinity. Great with the radicchio and arugula salad. Stood up well to the radicchio. Original Vintage Edition 2009 $32 - A replication of the first Bertani wine produced in the 1800s. It is made from 80% original Corvina clones (Rizza, Nera and Corvinone) with a 20% mix of Cabernet Sauvignon, Sangiovese and and Syrah. Aged in chestnut and cherry wood, not oak. First in cherry 2-5 months, then in chestnut to 18 months. The nose shows spices and cherries with bright, fresh cherry flavors. A touch of cinnamon and nutmeg are a delight. Great acidity and tannic grip. Villa Arvedi Amarone 2008 $60 - 70% Corvina Veronese and 30% Rondinella, the wine is produced in true Amarone style. the grape bunches are harvested and taken to farmhouses where they are left to dry on straw mats for about four months. This raisins the grapes and concentrates the natural sugars. Aromas are highlighted by dark black cherry, with flavors of really savory cherry and huge tannins on the palate. Great with the lamb shank. Recionoto della Valpolicella Valpantena DOC $37 - 80% Corvina Veronese and 20% Rondinella, this dessert wine is produced Amarone-style and left to dry on straw mats for about five months, then slow fermented for about a month. Aging takes place for 18 months in French oak barriques, half of them new. It has a big, sweet nose of raisins and brown sugar and an even sweeter palate showing raisins, caramel and mocha. It rocked the warm chocolate tart completely. Lunching at Wood Ranch restaurant in Los Angeles is always a bit of a treat, but especially on Tuesdays, when all their wines are half-price. At $7.50 by-the-glass and $12 per bottle retail, $3.75 was a true bargain for a glass of 14 Hands Merlot 2010. Even if I didn't like it. But I did. This Washington wine, from vineyards in Columbia Valley, is a blend of 78% Merlot, 14% Cabernet Sauvignon, 6% Syrah, 1% Grenache and 1% Cabernet Franc. The various varieties are aged in American and French oak and blended after vinification. Alcohol hits 13.5% abv. Medium ruby in the glass, this Merlot gives a jammy nose of blueberry, strawberry and raspberry. The palate shows a beautiful collection of oak-tinged fruit. Dusty cherries lead the way, with clove and nutmeg rounding out a great flavor profile. It does have a rather thin feel, but the finish is medium-long with spices lingering. While you may have something a little more special in mind for your holiday spread, this bottle should be appreciated when you bring it to holiday parties, as long as they are okay with drinking some "@#$%! Merlot." It's reasonably priced, good tasting and easy to find, even at the supermarket. A lunch at a favorite restaurant for the wife and I prompted me to order a Tempranillo wine. Spanish grapes have long been at the top of my list, but I usually order wines from near the area where I live. In Southern California, I love finding a good Santa Barbara County wine in restaurants. A hunch told me to break ranks and try the Creta Roble 2009 from Spain's Ribera del Duero region. It's 100% Tempranillo, sourced from a 40-year-old vineyard, tank fermented and aged in used French oak for four to five months. The by-the-glass price was around $10, while I have seen it in wine stores locally for $13. At this price, it's an astounding value. Medium dark, the wine's color is intense enough to color the glass. A nose of blackberry, cigar box, sage and nutmeg is completely enticing. On the palate, similar big notes prevail. A spicy melange of black fruit and savory, meaty notes are set off by big tannins and great acidity. I paired this wine with a tomato sauce pasta dish, which was fine, but after a sip I wished I had gone with something a bit more substantial. Something tells me I'll love this spicy, fragrant wine over the holidays, particularly with Thanksgiving dinner. When you get a chance to sample a lot of Italian wine, don't ask questions - just RSVP and show up. You'll be glad you did. France is probably the giant in the global wine arena, but Italy rivals its neighbor to the north for quality and a sense of place. The Italian Wine tour moved through Los Angeles on October 30, 2013, and those in attendance at Mr. C in Beverly Hills were all the richer for it. A number of wine presenters were actively seeking representation in the US wine market, and are deserving of such. I have noted those wineries looking for distribution. Franciacorta Rosé Brut NV - Very slightly tinted, this sparkler showed nice acidity and great bubbles. Franciacorta Satèn Brut 2008 - All Chardonnay, dry and toasty after four years aging in bottle on the lees. Franciacorta Extra Brut 2008 - A mixture of Chardonnay and Pinot Noir, this bubbly provides plenty of bubbles with a bready note on nose and palate. Four years in bottle on the lees. Curtefranca Bianco 2012 - 60% Chardonnay and 40% Pinot Bianco, this white is savory and full in the mouth. Grechetto di Todi 2012 - Nutty nose, savory minerals on the palate, very good acidity. Rojano Todi Rosso Superiore 2010 - Great red fruit and acidity. Todi Sangiovese - Very bright cherry and oak spice. Montefalco Sagrantino 2008 - Bold, brawny, dark and spicy. Simone Carpinelli poured a range of wines which all seemed a little light on acidity, but possessed of a lovely nose and flavor. Blush NV - Pinot Grigio, beautiful gold color, Spumante, light bubbles, dry and fruity. Quartanota 2012 - Light acidity, fruity and plain. Steel. Sestavia 2012 - Chardonnay. Savory, light acidity. Girapoggio 2012 - Sangiovese, very light on its feet, easy drinking. Bissoni Sangiovese di Romagna Sangiovese Sup. Reserva 2008 - Very deep, dark, Sangiovese. Bissoni Vino Rosso 2011 - Late harvest, beautiful cherry candy on nose, raisin and caramel on palate. Great 100% Sangiovese dessert wine that had folks talking. Vigna Rocca 2012 - Albana grape, gold, nutty, steely with nice acidity. Campo di Mezzo 2012 - Great tannins, pure cherry, a bit tart. Sangiovese. Steel. Nicola Durandi poured wines from the winery established in 1921. Their line of everyday wines is called 921. The ones I tasted show a sweet edge. Prosecco Collevento 921 2012 - Refreshing, bubbly, fruity. 100% Glera. Pinot Grigio Collevento 921 2012 - Sweet edge, nice acidity. Steel. Rosato Collevento 921 2012 - Merlot and Cabernet Sauvignon, 50/50. Reminds me of white zin. Very light color. Steel. While pouring, Mauro Cencig told me, "If it is good wine, you can sell it with no problem." That will be a great comfort to every winemaker I have ever spoken with. Friulano 2012 - Fresh, big, fruity nose of pears and peaches. Nice acidity and minerals. Pinot Grigio 2012 - Mineral-driven nose and palate. Sauvignon Blanc 2012 - Very herbal and grassy, lotsa lime, nice acidity. Cabernet 2012 - Fresh, with a bit of oak, nice tannins. Merlot 2012 - Dusty cherry aroma and flavor. Good acidity. Nice and spicy. Arturo Stocchetti spoke lovingly of the volcanic soil in Soave. Castello 2012 - Fresh. 90/10 blend of Garganega and Trebbiano di Soave grapes. Carniga 2011 - Savory nose, great fruit and minerals on palate. Barone Nero 2011 - Recommended by Shawn Burgert, a writer, broadcaster and photographer known as @awanderingwino on Twitter. Cabernet Sauvignon, Malbec and Refosco. Medium ruby color with an easy mouthfeel. Cherry flavors dominate. Seems it would take a chill well. A nice savory note on finish. They told me they sell it big on the East Coast. Montepulciano d'Abruzzo 2011 - Really funky nose and palate. It’s good to give yourself a treat once in a while, something you really like and don’t want to live without. For my wife - still missing her East Coast roots after decades in Los Angeles - that treat has become lunch at Connie and Ted’s. Connie and Ted’s is a West Hollywood restaurant specializing in what they describe as “simply prepared fish and shellfish, inspired by the classic clam shacks, oyster bars, and fish houses that dot the New England Seaboard.” Denise and I seek out the places that do things right, not fancy or overdone, just right. Connie and Ted’s is one of those places, and it has achieved the status of “treat” in our family. It is expensive, but we generally share what we order, and that generally includes a beer. Lagunitas Pils is a Czech-style pilsner which rings up a 6% abv number. Served in a 12-ounce bottle, the brew costs $6. The beer’s head is a big, frothy white and it stays nicely. The color shows fairly rich for this type of beer. Nutty aromas dominate the nose, with notes of bread and cereal and a bit of lemon. Malty flavors mostly decorate the palate, but the taste is rather subdued - it’s a better beer with food than without. The Lagunitas Pils sure did hit the seafood well. The lobster roll and Ipswich clam steamers both benefited from the pairing. Bonny Doon Vineyard has been "a strictly Cabernet-free zone for the past 28 years," so it may come as a bit of a surprise to find Rhône-loving winemaker Randall Grahm harvesting Bordeaux varieties. The last Claret - the British term for red Bordeaux - produced by Grahm was in 1985, and it was made from grapes grown at the late estate in Bonny Doon. Why a Claret now? Grahm notes, "the deal was doon grudgingly and harumphingly." Those who know Grahm's prose will see this as the shrewd marketing that it is. He implies that this Cabernet-based wine is the only such that ever crosses his lips, although that may or may not be true. He wraps up the promo sheet with, "Proper (!?!) Claret. Indeed." The promotional information is actually attributed to one Reginald ffrench-Postalthwaite, who I take to be an alter ego of the illustrious Mr. Grahm. It is a mark of the super-intelligent to always have a couple of extra egos lying around the house. This one, if that is him pictured in the Bascove label art, wears a monocle, a smoking jacket and some brightly colored thigh-high hosiery attached to a garter belt. Proper alter ego, indeed. Mr. ffrench-Postalthwaite’s pairing suggestions include, "proper (British) mutton and proper leg of lamb (ideally served with proper Yorkshire pudding).” I sipped the contents of my promotional bottle with bangers and mash. A Proper Claret 2012 contains 62% Cabernet Sauvignon, 22% Petit Verdot, 8% Tannat, 7% Syrah and 1% Petite Sirah. Alcohol hits a very reasonable 13.2% abv. 7,000 cases were made and they retail for $16 per bottle - a very proper price point. Grahm - er, Reginald - says the presence of Petit Verdot adds "silky violets and textural elegance, in precision counterpoint to the lead-in-the-pencil firmness of the manly Tannat." The deep purple wine gives a spicy nose marked with cigar tobacco and eucalyptus. Dark red fruit - plums and raspberries - provide the backdrop for all those fireworks. The acidity is very nice and the tannins do their work without getting in the way. The palate is dark and a bit savory, but the fruit is in full bloom. I'm thinking about that leg of lamb, now. 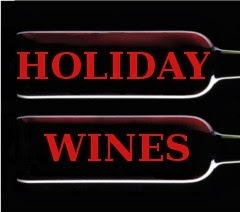 This is the time of year, of course, for the WFM Top Ten list of holiday wines. Each wine on the list is priced below $25 and each is hand selected by the WFM wine folks as a winner for holiday parties, gift-giving and feasting. There were so many good wines to choose from, the top ten list became a Top 12 list this year. The more, the merrier. WFM is sponsoring a pair of Twitter tasting events you may find interesting - and informative. The first one comes in time for Thanksgiving, on Thursday November 21, 2013. The second will give you inspiration for the Christmas party season, on Thursday December 12. Both of these virtual tasting events will happen from 7:00 - 8:00 p.m. CT. The December lineup will feature singer/songwriter/musician Mat Kearney chatting about his Napa red blend, Verse and Chorus. Here is a list of the twelve wines. I have not tasted them yet, so I’m including the WFM descriptions to help steer you in the direction you want to go. “*” indicates a wine available only at Whole Foods Markets. We covered three Gewürztraminers from New York's Finger Lakes region earlier. This time around, three other aromatic whites are the topic. Located in Watkins Glen, NY, Lakewood Vineyards' winemaker Chris Stamp has been making the wine for 25 vintages. He is the grandson of the founder. David Stamp, another grandson, tends the vineyards. Lakewood's Gigliotti Vineyard Pinot Gris is the first Lakewood wine with a vineyard designation, a tribute to grower Frank Gigliotti. As we might expect, Stamp was very complimentary of Gigliotti. He says the grower calls Pinot Gris "Pinot grief," and adds that, "Growers are pivotal in winemaking." Once Stamp put the vineyard designation on the label, Gigliotti felt he should not tear the vines out, as he had been contemplating. Crediting the grower is not a prevalent practice in the Finger Lakes region, possibly owing to the fact that there are so many estate wines made there. The grapes are destemmed and allowed 24 hours of skin contact. Lakewood produces 14 different varieties, mostly vinifera, but they still grow Concord and Niagara for Welches juice. Just off dry on the sweetness scale, this Pinot Gris has an alcohol number of 13.2% abv and retails for $14. it is made from 100% Pinot Gris grapes, the ones grown in the Gigliotti Vineyard, on Seneca Lake's west side. The Lakewood Pinot Gris has a light golden tint with a slight frizzante in the glass. the nose is dominated by fragrances of Meyer lemon, key lime and minerals. On the palate, tropical flavors abound, highlighted by lemon-lime. the wine shows good acidity and has a nice finish, where the key lime lingers. The land at Fulkerson Wine Cellars has been in the family since the early 1800s. 106 acres of grapes on the west side of Seneca Lake, in Dundee, NY, share the land on which founder Caleb Fulkerson now rests. They began producing grape juice for home winemakers in the 1970s and still offer help for the DIY crowd. The winery opened its doors to a grateful public in the late 1980s. Sayre Fulkerson, the owner and winemaker, says he planted Gruner Veltliner because he likes the wine made from this Austrian variety. It comes from one of the oldest vineyard blocks in the Finger Lakes. Fulkerson says, "Gruner Veltliner is a little like Riesling but not really, maybe more like ripe Sauvignon Blanc." Dry, with only 0.2% residual sugar, the Fulkerson Wine Cellars Gru-Vee shows 12% abv and retails for $14. 253 cases were produced in this inaugural release. The wine is fermented in stainless steel tanks, on the lees. The contact with the spent yeast cells give a full mouthfeel. It's bottled under natural cork. Pale straw in color, the wine's nose shows a light aroma of orange peel and lots of minerals. The palate is very dry with a nice acidity and minerality and flavors of apple, white peach and a faint trace of cantaloupe. It's the minerals, though, that steal the show and stay around on the finish. I think it's great for shellfish and crab cakes, but Fulkerson likes it with pork and sauerkraut. Chardonnay vines were planted at Hosmer Winery on the shores of Cayuga Lake in 1975, making them some of the oldest vines on the property. 45 of their 70 acres of grapes are dedicated to aromatic whites. Winemaker Aaron Roison has made wine for 12 vintages in the Finger Lakes. Owner Cameron Hosmer is in charge of growing the fruit. Roison says the "low vigor site" helps produce extraordinary aromatics. The Hosmer Chardonnay clocks in at 13.1% abv and has no residual sugar. 70% of the juice is fermented in steel while 15% is done in older American and French oak and 15% in new oak. The wine is aged for six months in barrels, where it undergoes malolactic fermentation. It sits on the lees for three months and is bottled under natural cork. Quite a bit of oak spice comes into play on first sniff, especially considering that only 30% of the wine sees a barrel. A nice minerality shows, too. Tropical fruit and lemon rind are the main fruit components on the nose, and they display nicely on the palate as well. The acidity is quite good, even though the wine's mouthfeel is fairly creamy and full.